Students and teachers discover a universe of exploration- from the sky near the earth to the cosmos and the farthest stars! TEWS-Space Race offers students and teachers exciting opportunities and adventures in aviation, space exploration, science, technology and so much more! HEARTS ON! HANDS ON! MINDS ON! Students are able to critically and creatively tackle these topics using TEWS unique experiential methodology which builds critical thinking and problem solving skills. Field trips to museums, libraries, geographic sites of interest, laboratories and discussions with experts in the fields enrich the experience for all participants. 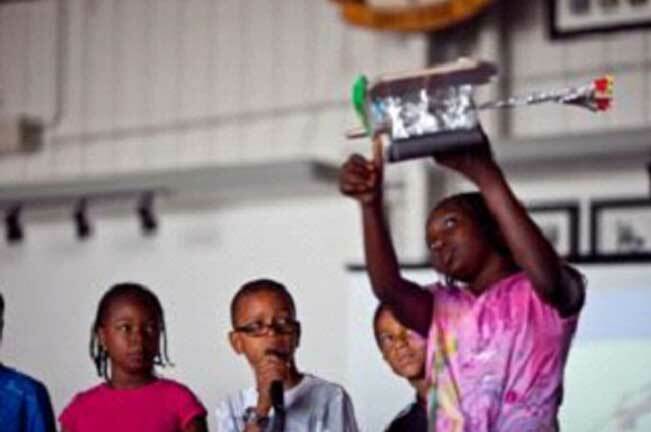 At the end of the week, students present their solutions at Tomorrow’s Aeronautical Museum (TAM) at the Compton Airport to the entire camp and selected visitors. Then they jump into “Magic of Flight”, at TAM where they get hands on with aviation: flying and landing flight simulators, experiences with real planes and helicopters,aviation modeling, challenges and adventures surrounding space flight. 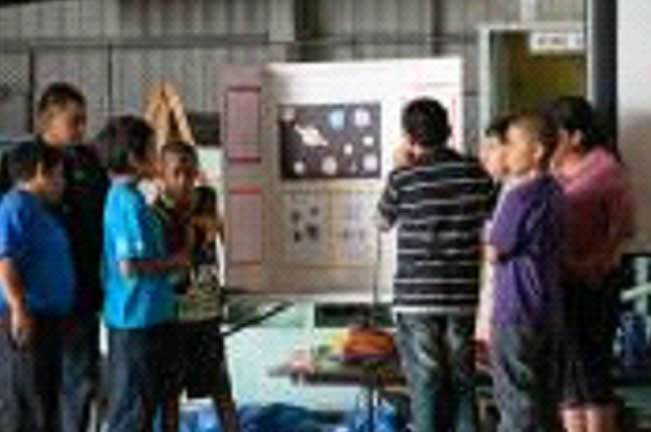 TEWS-Space Race Teachers are trained in TEWS innovative experiential- based teaching method. 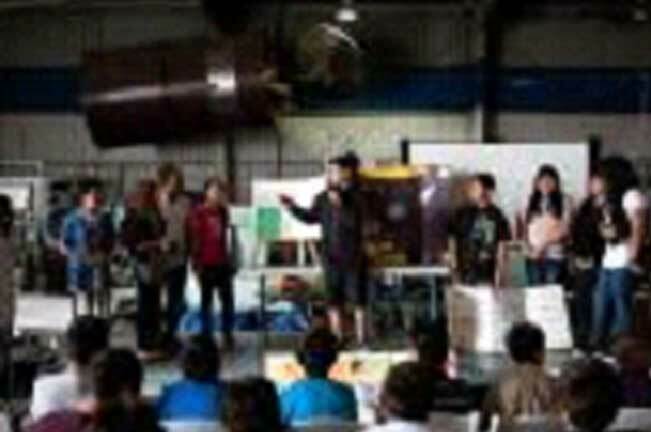 They develop professionally—training with NASA related content, they gain knowledge about aviation and space. Teachers learn to guide students in a student-driven learning environment. These are tools and experiences that will serve the teachers and their future students throughout their careers. TEWS-Space Race REBOOST: TEWS-Space Race does not end with summer camp! The positive impact on the students and teachers is sustained by the TEWS-Space Race ReBoost during the school year. ReBoost TEWS-Space Race teachers will conduct TEWS Discovery Topics™ and NASA content-based sessions four times during the school year. Students ReBoost their science and aerospace aptitude through; online mini-achievements and competitions, Festival of Flight activities, and TEWS-Space Race ReBoost Rallies held at TAM eight times during the school year. 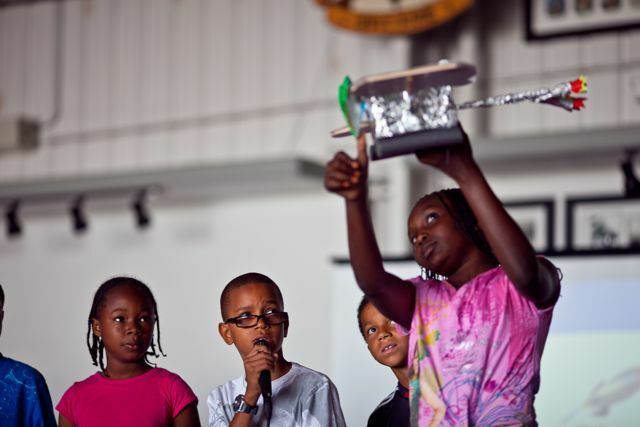 TEWS Space Race is powered by the Dorothy Jemison Foundation for Excellence in partnership with Tomorrow’s Aeronautical Museum and Los Angeles Unified School District. TEWS Space Race is led by Dr. Mae Jemison, former astronaut–the world’s first woman of color in space– physician, engineer, and college professor. Part of NASA’s Summer of Innovation program, TEWS Space Race will build a cadre of teachers skilled in TEWS’ teaching methodology , with advanced knowledge of the ever-evolving realm of aviation, space exploration, science and technology. TEWS Space Race will open the eyes of students and teachers to exciting career possibilities in STEM and NASA related fields. The Dorothy Jemison Foundation for Excellence (DJF) was founded by Dr. Jemison, along with her brother, Charles Jemison, and sister, Dr. Ada Jemison, in honor of their mother, Mrs. Dorothy Jemison—who taught in the Chicago Public schools for 25 years. DJF is organized for the development and implementation of programs, teaching methods, curricula, and the advancement of educational experiences. DJF models the teaching principles, and highly effective educational beliefs and leadership of Mrs. Jemison, translating them into programs enhancing individual excellence throughout the world. 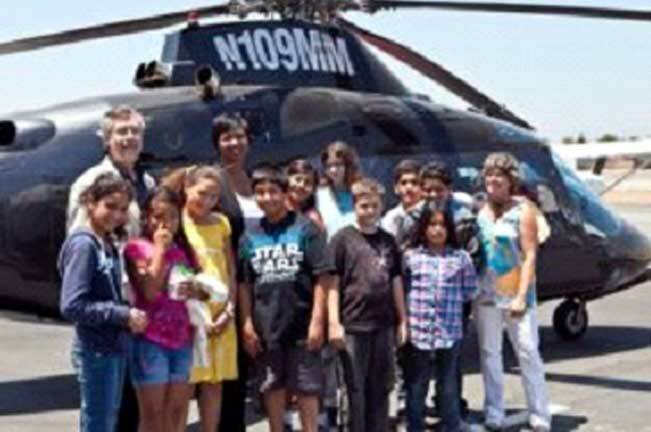 Tomorrow’s Aeronautical Museum (TAM) located in Compton, California, founded by Robin Petgrave, has taught disadvantaged students in the Los Angeles how to fly airplanes and helicopters for more than ten years in exchange for the students’ community service. It is a nonprofit flight school, whose mission is to encourage youth involvement in aviation, science, and mathematics as an alternative to drugs, gang violence, and other self-destructive activities. While honoring the legacy of the Tuskegee Airmen, TAM’s motto is: Tomorrow’s History Today.